So we find ourselves twenty months into negotiations on our contract with a district who essentially refuses to touch any of the more than thirty demands we've put forward regarding improving our students learning conditions, a district who squirrels away public funding by the billions in reserve accounts while declaring financial crisis and calling for cuts. For teachers and students, the writing is on the walls - either we fight now or we risk losing public education entirely. 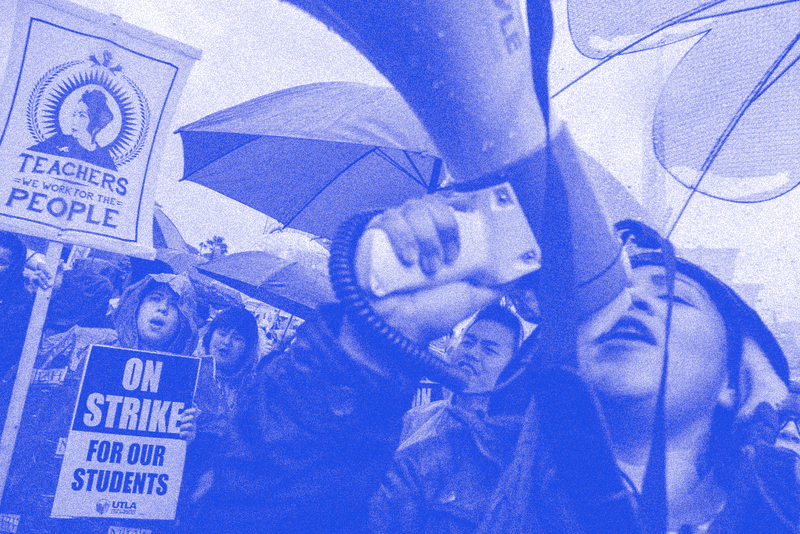 The strike is a continuation of the class struggle momentum that has been building over the past year through the teachers strikes across the US and Puerto Rico, the UC workers strike, the hotel workers strike, and all the other workers struggles that happened in 2018 and are still happening.